The workshop will focus on breakthroughs in the field of diversity & inclusion illuminated by neuroscience and organisational psychology research. Conventional wisdom and the scientific application will be discussed. Rob is the Head of Research and Solutions for the Neuroleadership Institute South Africa. He holds undergraduate and postgraduate degrees in Organisational Psychology from Rhodes University, University of Johannesburg and the Unversity of Valencia. Rob started his career off in the South African construction sector before moving to Germany to join the team that re-engineered the global performance management culture for the Adidas Group. 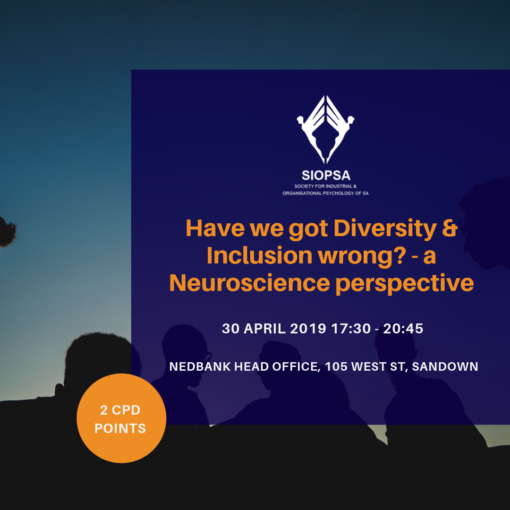 Recently his opinion on artificial intelligence and neuroscience has been featured on SABC news, Moenyweb, SAFM, Business Report and the Sunday Times. Leaders and people practitioners interested in unlocking the power of diversity in their teams. Those interested in better understanding self and others in a diverse workplace in order to reduce conflict and synergise performance.